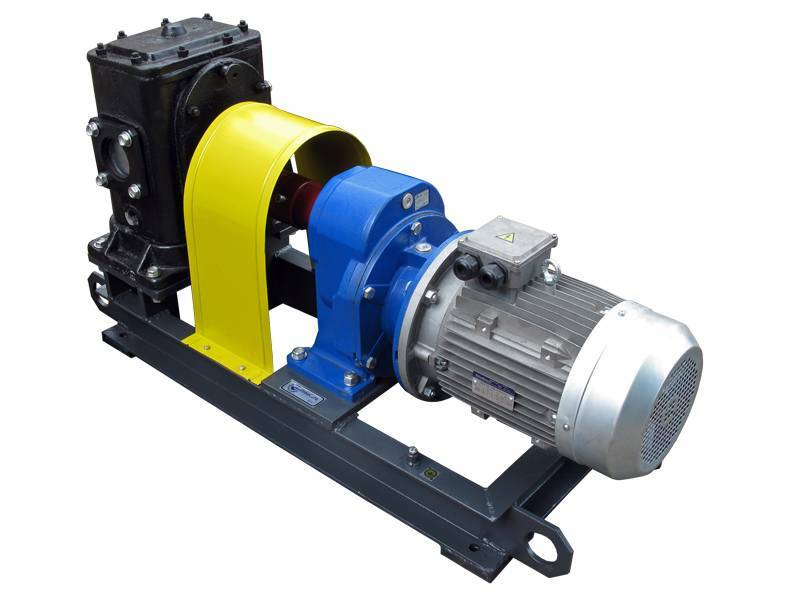 The SN-1 Bitumen Pump Assembly is designed for emulsion pumping of high viscosity organic substances (bitumen, oil, heavy oil fractions, bitumen emulsions) with viscosity up to 3500 mm2/second and temperature up to +180oC. To make the Bitumen pump suitable up to 220C using, we install another type of glad packing resistant to 220 oC. Usually GlobeCore UVB-1 (with capacity 8m3/h and higher) bitumen emulsion plants are assembled with emulsion pumping units of such type. Bitumen Pumps is equipped with heating jackets to allow pumping of high viscosity liquids which become fluid only a higher temperatures. Pumping unit NB-30 (pic. 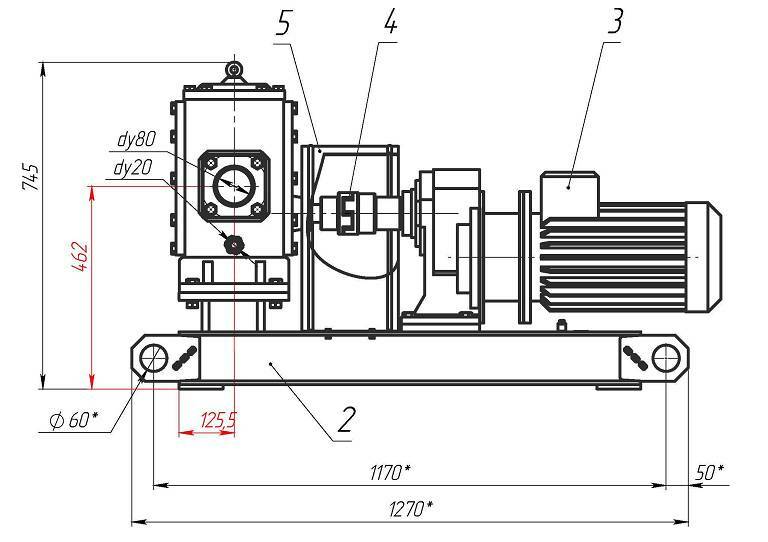 1) consists of gear pump DS-185 (1) installed onto the frame (2) and connected with engine (3) with the help of clutch (4). 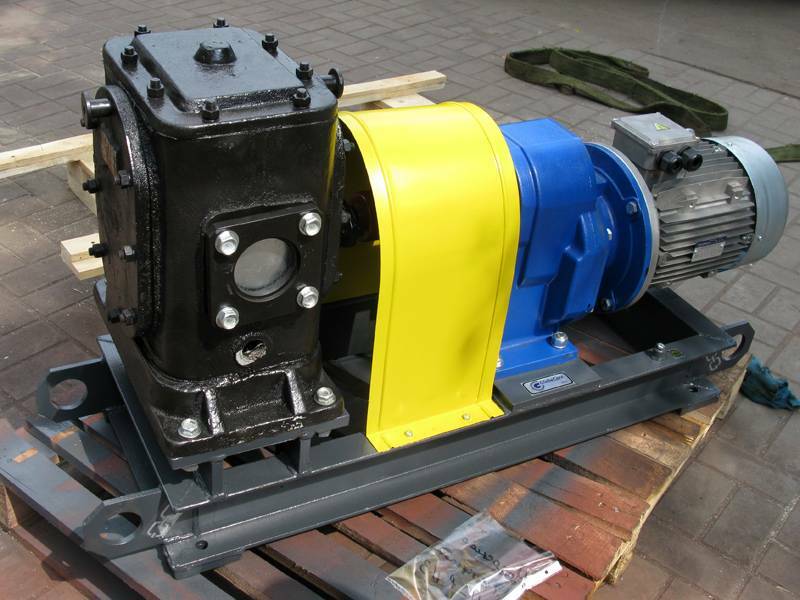 The clutch is protected by protective coating (5).DS-185 pump is a gear pump with heating jacket. It gives an opportunity to use it for pumping of liquid that must be pumped at high temperatures because of high viscosity. This emulsion pump is notable for high safety level during exploitation. The main element of operator’s safety is protective equipment that protects the clutch between engine and pump.